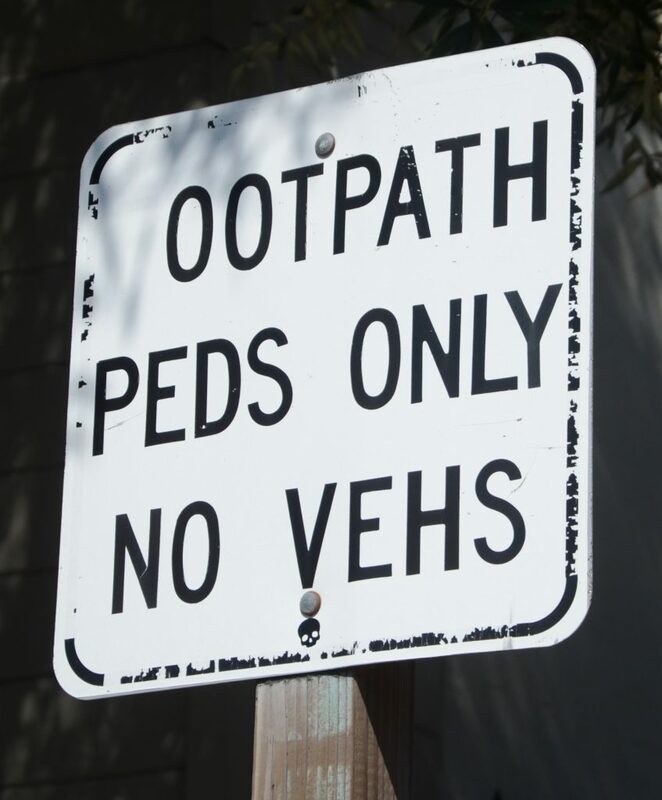 Oakland Urban Paths | Loving Oakland, One Step at a Time! 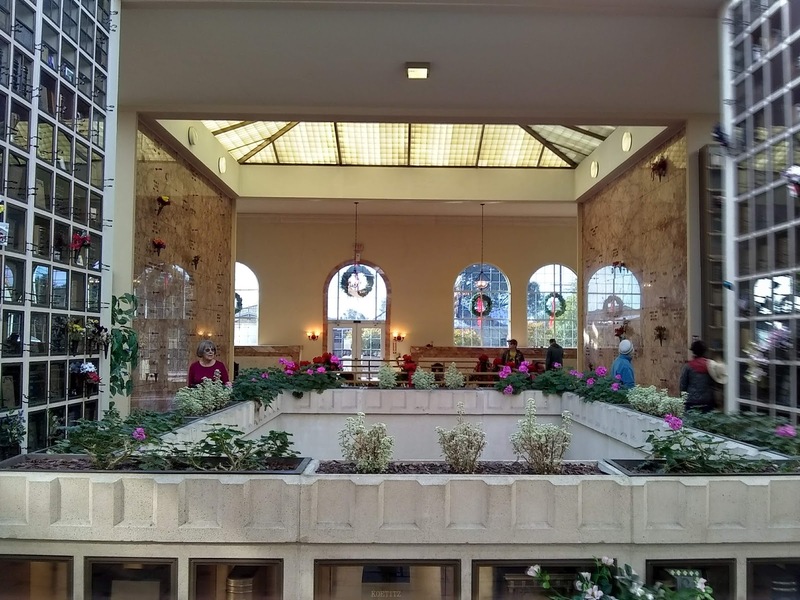 Join Oakland Urban Paths as we explore Hiller Highlands and Claremont Hills and get different looks at the Claremont Hotel. This is a variation on a walk we’ve done before, and it is hilly with a lot of stairs. Read more and signup (required) on Eventbrite. 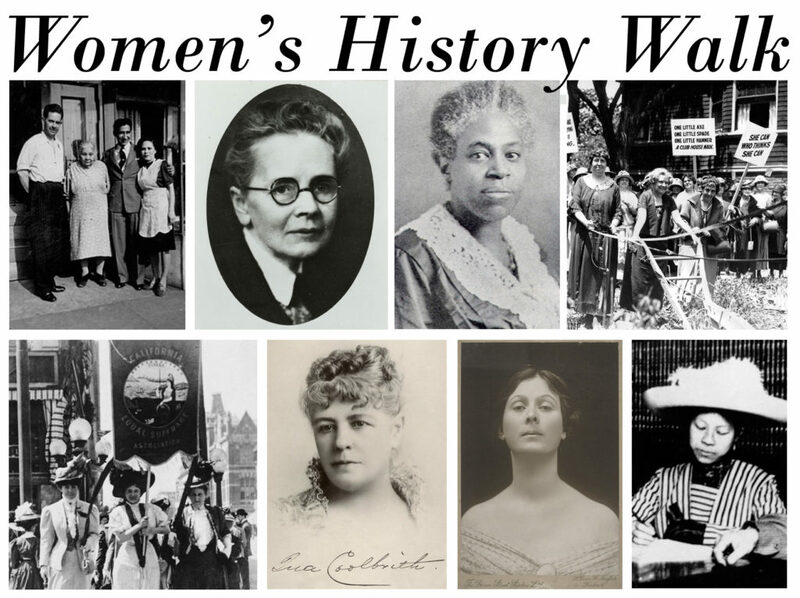 Join Oakland Urban Paths and the city of Oakland Walking Tours program for a 2.5 hour walk celebrating women’s history in Oakland. 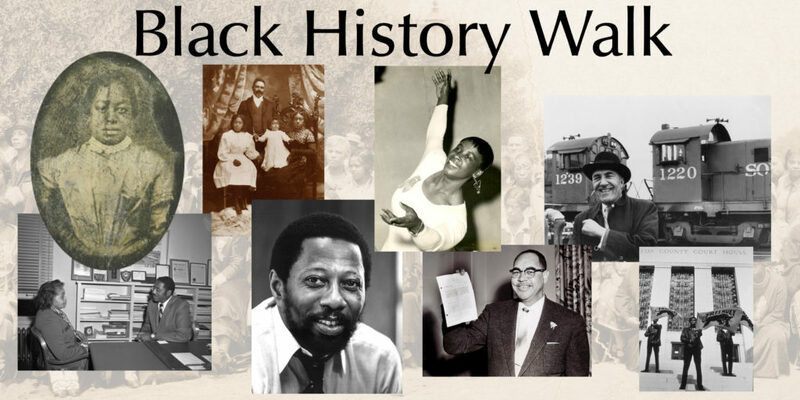 We’ll start near AAMLO on 14th St.
Join Oakland Urban Paths and the city of Oakland Walking Tours program for a 2.5 hour walk celebrating some of Oakland’s black history. We’ll start near Lake Merritt and finish at AAMLO on 14th St.
A chilly start to the morning, but a nice turnout to clean up the paths near Hyacinth Avenue. A combination of neighborhood residents and volunteers from elsewhere in Oakland…and Fremont! Thanks to Nancy, Kat, Jody, Tom and his family, and “Team Fremont”. Special thanks to Chris from Walk Oakland Bike Oakland, who picked up the tools, brought coffee and La Farine pastries, water, more debris bags, and her seemingly boundless energy, and still found time to work on the cleanup. After the smoke from the fires up north forced a reschedule, we had a small but “lively” group for the Walk of the Dead. In addition to clearer skies in December, we also had great weather—sunny and not too warm. 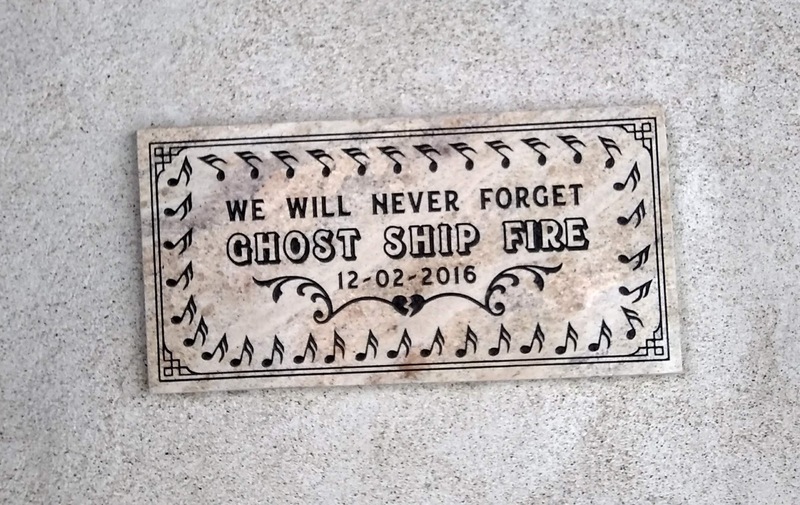 After talking a bit about customs around death like the Day of the Dead, a brief glossary of terms, and some of the symbols we might see on grave markers, we headed off. 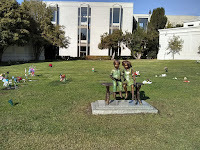 Our first stop was Chapel of Memories, also known as the Oakland Columbarium. It opened in 1901 as an independent business, but now is run by nearby Chapel of the Chimes. The buildings are mostly full of smaller niches. While a few are tagged “before need”, most are occupied. 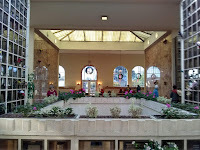 After a brief stop at 4460 Howe Street, which was home at different times to a superintendent of St. Mary’s, a florist, and a granite and marble showroom, we went in the top entrance of Chapel of the Chimes. That took us into the newer areas, but down some flights of stairs and around a couple of corners, and we were into an older part, which was designed by noted architect Julia Morgan. Five different architecture firms worked on the structure over the years. The oldest part was originally a station for the streetcar which stopped at the top of Piedmont Avenue. From there it was through the gates of Mountain View Cemetery, but into Home of Eternity Cemetery, a Jewish cemetery run by Temple Sinai. They purchased land from Mountain View in 1865. Besides more familiar religious symbols on the grave markers, there we saw some kohanim hands, which mean the person was of the priestly tribe of Aaron. Leonard Nimoy used a modified version of the gesture as the Vulcan greeting in Star Trek. Stepping past a row of trees took us into Mountain View Cemetery, which at 224 acres, is by far the largest cemetery in Oakland. 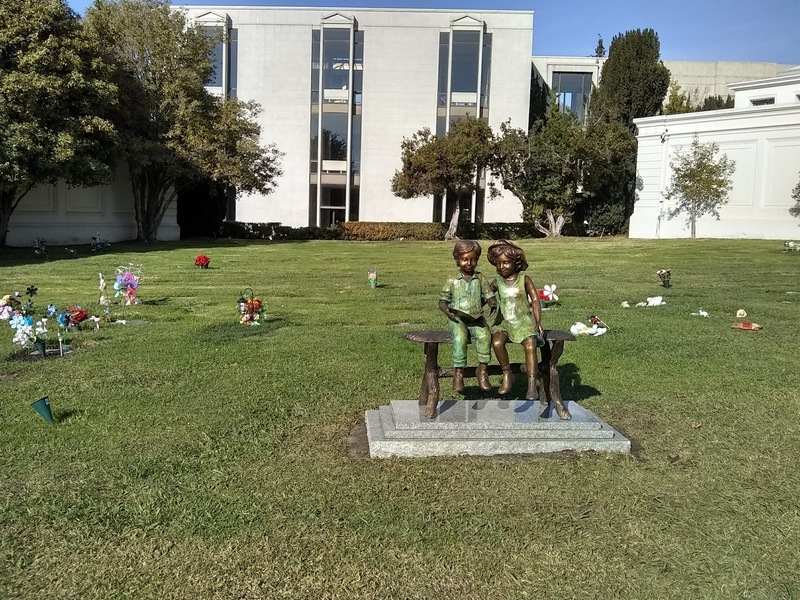 First we went into one of several large mausoleums on the Mountain View grounds, which contains the remains of Oakland city council member Frank Ogawa and his family. He and his wife were imprisoned in an internment camp along with other Japanese Americans during WWII. Their daughter, Nancy Lynne Ogawa, was born in the Topaz camp and died there. That mausoleum also contains the remains of my grandparents, my aunt and uncle, and my aunt’s father, Dr. Edward Lundegaard. Dr. Lundegaard served as a surgeon in the county coroner’s office from 1946 to 1954, and then was elected coroner in 1954. We wound our way up the hill to “Millionaire’s Row”, where the likes of “Borax” Smith, mayor Samuel Merritt, and the Crockers of Crocker Bank fame are buried in some sizable and lovely mausoleums. The air quality was better than November, but it was hazy enough it didn’t show off the great view. That view, plus the park-like setting (MVC was designed by Frederick Law Olmsted, who designed Central Park in New York City) are part of why people used to visit their grave sites before they needed them, and countless Oaklanders still walk, run and admire the views today. We finished by the Infant’s Plot by the Main Mausoleum, in view of the Pauper’s Plot. 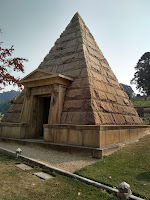 We didn’t have time to continue down Piedmont Avenue and check out the cemetery-related businesses, including florists, grave marker carvers (former), and funeral homes, but we got a nice overview of part of Oakland inhabited mostly by the dead. Unfortunately, there won’t be an OUP walk for August. But there are plenty of other ways to explore Oakland, whether by foot or by bike! Check the Visit Oakland website for more tour ideas, or go explore Oakland on your own! 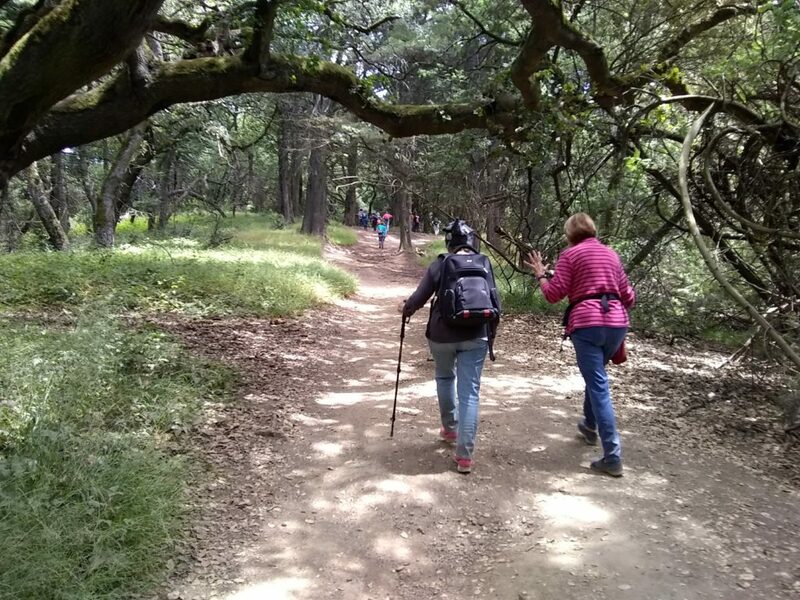 On Wednesday, July 4th, Stan Dodson of OaklandTrails.org led a large group on a hike from the Dimond to Joaquin Miller Park, with a return by bus. We had near-perfect weather for a hike, a bit overcast at the start to keep things cool. A larger than expected group of 55-60 people set out from La Farine Bakery on Fruitvale Avenue. Despite the group size, we made good time as we followed trails up the Sausal Creek watershed. Some people opted to return by bus at the 4 mile mark near the meadow; others continued to the 5 mile mark near Roberts Recreation Area. But a hearty group stuck around for the full 7.5 mile hike, ending in front of Joaquin Miller’s Abbey. I think we were all relieved to get on the bus to take us back to our starting point. More photos from the hike are here. Thanks again, and see you on the trails! 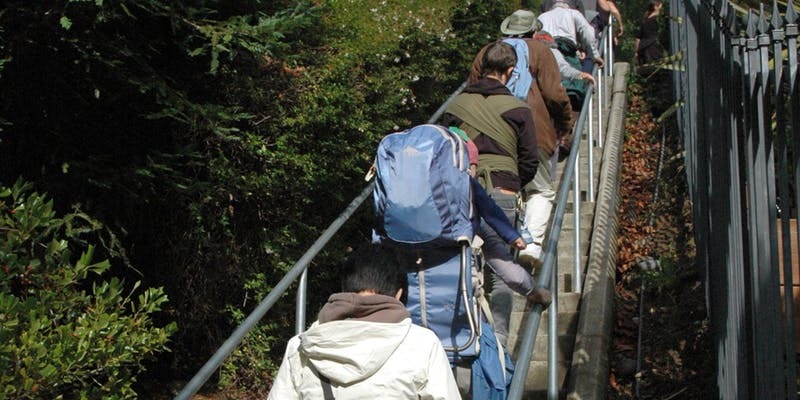 Oakland Trails is an all-volunteer organization dedicated to promoting, maintaining, and enhancing the City of Oakland’s wildland parks and trails. Saturday was a walking tour of some of the murals downtown, organized by Oakland Urban Paths and our parent organization, Walk Oakland Bike Oakland, and led by local artist and organizer Sorell Raino-Tsu. The walk was originally scheduled for March, but rescheduled for this month because of the weather. And the weather definitely cooperated—it was warm and sunny, not too hot, perfect for a walk around downtown. After an introduction and safety reminder by WOBO president Chris Hwang, Sorell led us up Telegraph to view the first mural. On the back of the Cathedral Building is the United Nations Mural. Sorell told us about the challenges in getting permission (separate permission for every floor of the building) and painting it (the height caused the crane to start tipping). And in an echo of the past, the mural was originally intended for San Francisco. But the artist Zio Zigler wanted to do it in Oakland, and Sorell helped make it happen. The mural was probably intended for San Francisco because that’s where the United Nations Conference on International Organization was held in 1945. But in 1966 when it came time to fly the UN flag, San Francisco said no, and the flag ended up in at Jack London Square in Oakland. Then it was up a ways and over to Broadway to view another large piece, by far the largest of the Beacon Mural Series by Joshua Mays. On 19th near Flora is a smaller piece by Argentinian artist Pastel (aka Francisco Diaz), featuring his trademark deadly flowers. On Thomas L. Berkley Way on the back the I. Magnin building is a large, striking mural of flowers by Jet Martinez. it’s painted in shades of green to echo the green terra cotta tiles of the building shown at the start of the post. On Franklin St. there are two notable murals on opposite sides of the same building: Water Writes on one side, painted by Estria and crew, and a striking human rights mural on the other, painted by Ricky Lee Gordon from South Africa. Over on Webster, there’s a combination fence and ground-based mural by Brett Flanigan. Brett broke his foot during the painting, and finished the job with help from others while he was in a wheelchair! Near 19th and Webster is a large mural sponsored by the Oakland A’s, painted by Illuminaries. Going down Webster a bit we passed a temporary mural by Sorell on a construction fence. Across the street on the back of Howden Market is another piece by Zio Zigler. It was painted shortly after he broke up with his girlfriend, and so fittingly, it features a man with his heart being ripped out. A couple doors down on the side of the former Oakland Business and Professional Women’s Club building is a piece by Irot. And across the parking lot is a work in progress called Elevate. And next door to that was our final mural, a somewhat disturbing rabbit mural painted by Nychos, an artist from Austria. Thanks to WOBO for organizing the walk, and to Sorell for sharing his knowledge! See the Athen B Gallery website for lots more photos, including some of the murals in progress. See here for more photos from the walk. Saturday we had near-perfect weather for an Oakland Urban Paths walk around Lake Merritt. Unfortunately the sound system died, but the group wasn’t too large, so hopefully everyone could hear me OK. My cellphone battery had died, but regular OUP walker Alan Forkosh was there and took some great photos. See Alan’s website for lots more photos from the walk. 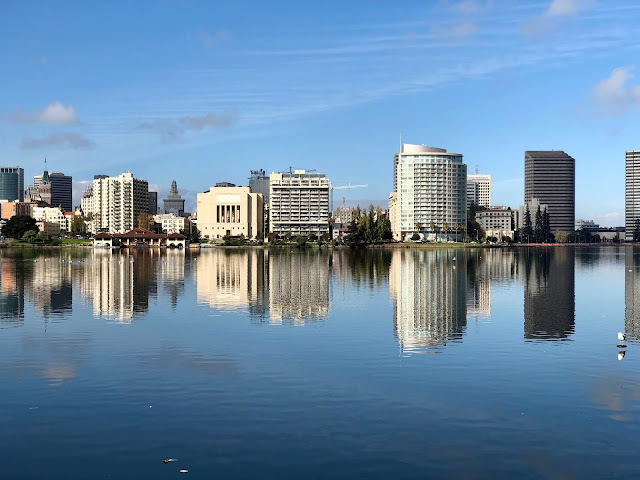 Starting with Lake Merritt not being a lake but a tidal slough, up through some of the Measure DD work still going on, we covered a wide variety of topics about the lake over its history. Looking at all the items on the list, it’s no wonder we weren’t all the way around the lake in 2.5 hours. Thanks to everyone who came out for the walk, and see you on the paths! Saturday a group of about 30 people gathered for an Oakland Urban Paths walk exploring some of the stairways and pathways near Highland Hospital and the Central Reservoir. We started at Highland Hospital, where Paul told us a bit about the hospital (built 1927, designed by Henry Meyers; grounds designed by Howard Gilkey) which was built as part of a countywide plan for health care. After a look at the old Key System stop in front of the hospital, we crossed 14th Avenue to our first set of steps. Our route took us up and down the hills, and past numerous beautiful Victorians, including the Whitaker House, designed by prolific architect Charles Mau, and the John C. McMullen House. The next stops were the Central Reservoir and then William Wood Park, which are strangely linked. The reservoir was built by the People’s Water Company (one of the predecessors of EBMUD) back in 1910. Seepage from the reservoir and undercutting from nearby Sausal Creek led to a major landslide in the 1950s. That destroyed some homes and closed McKillop Road, and eventually the land was turned into Wood Park. More recently, undercutting from Sausal Creek has led to more slides in the area, but it appears to have come through the rainy 2016-2017 winter OK.
A quick trip across 580 to the Altenheim and then back across 580 took us down the other side of the Central Reservoir, then past the Manzanita Recreation Center and back to our start near the hospital. A long but great walk. Thanks to Paul for leading us and Charlie for being the sweeper. Next up is a special walk in conjunction with the Oakland Walking Tours program. This Saturday, May 20th, we’ll be doing an extended version of the Chinatown tour in honor of Asian Heritage month. More info here. More photos from the walk can be seen here.